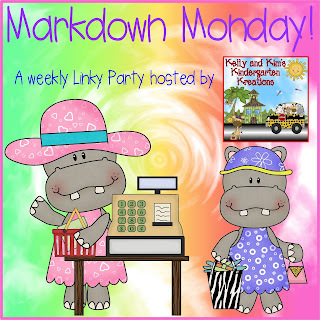 like to "markdown" until Sunday, August 13th. 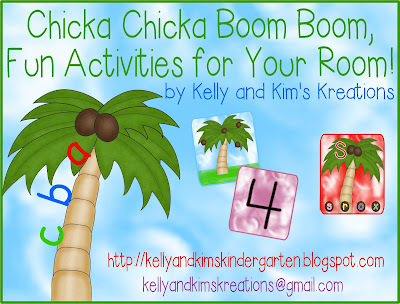 This pack includes several reading and math activities to use with everyone's favorite book, Chicka, Chicka, Boom, Boom! by Bill Martin Jr. and John Archambault. We printed the poster sized trees for this activity. 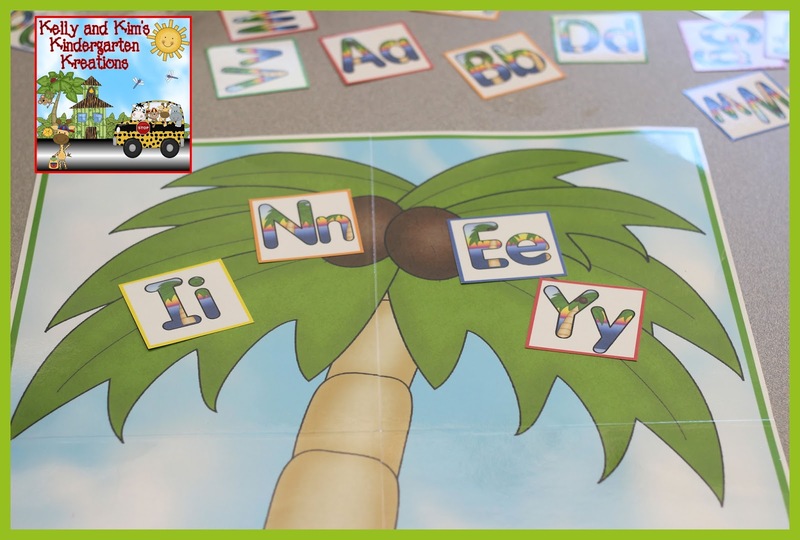 Children laid the letters of the alphabet in random order around the outside of the tree and worked in small cooperative groups. 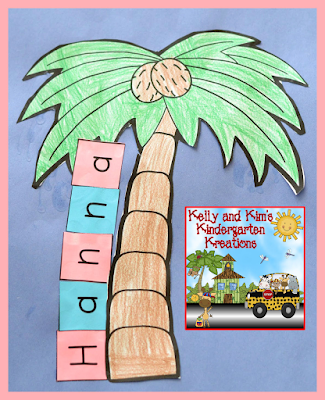 We called a letter one at a time and the children had to find the letter and walk it up the coconut tree! To challenge some of our children, we asked for them to find the letter that starts with the first sound heard in a certain word. 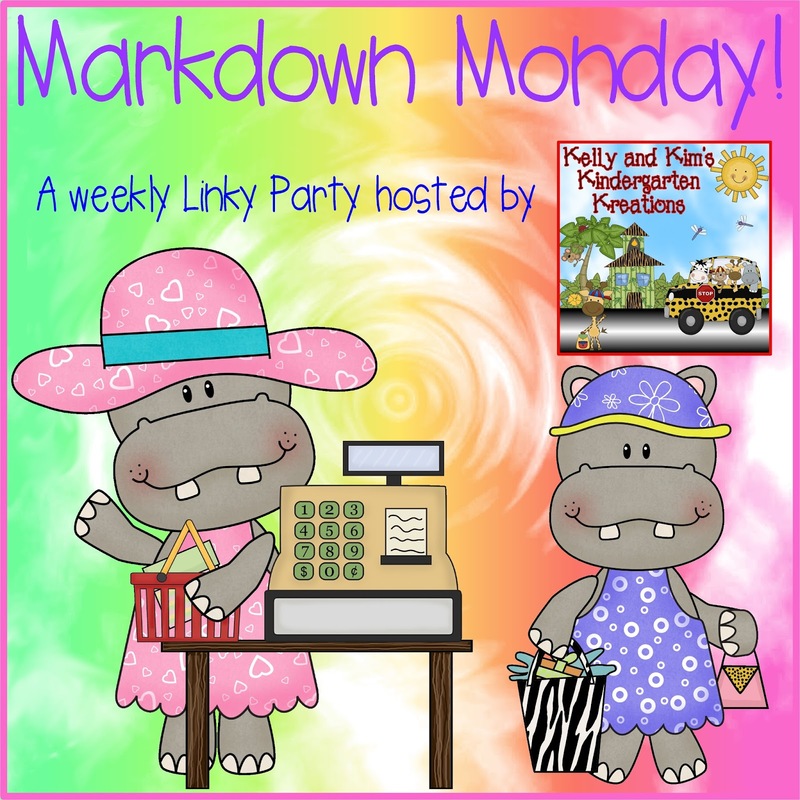 We had so much fun with this activity! You can tell by the smiles on their faces! Our students love clippies! 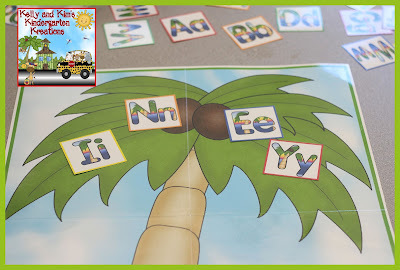 These colorful clippies will be good practice for your students in letter identification and matching upper case to lower case letters. Children will identify the upper case letter at the top of the tree and find its match on one of the fallen coconuts. 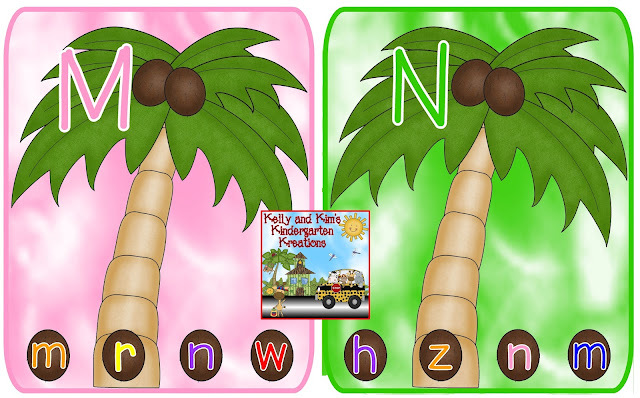 When they find the correct letter, they will clip the correct coconut! So fun and motivating! After reading, we ask the children to draw a picture of their favorite part of the story. 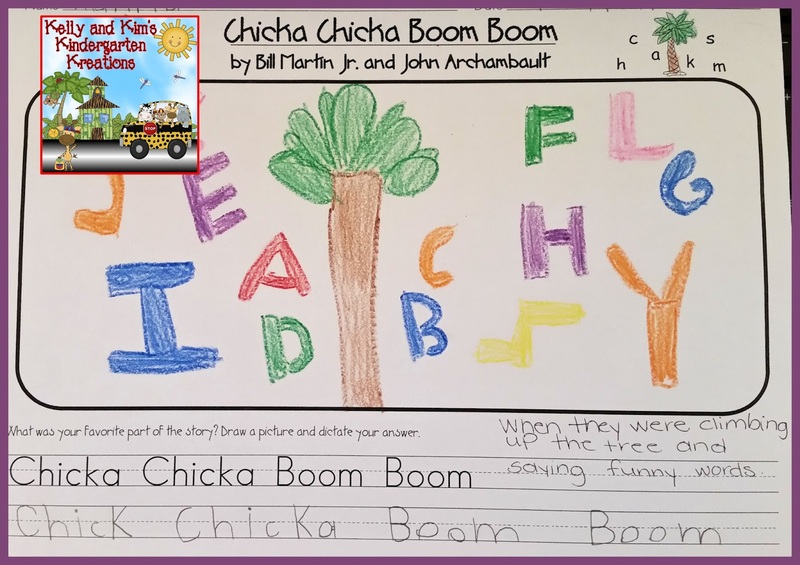 Since it is early in the school year we encourage the children to write by copying the book title. 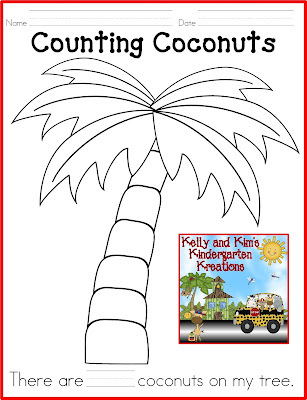 In this activity, we first have the children color the coconut tree. After coloring, they will then cut the tree. This is one of our first cutting experiences at the beginning of kindergarten, so some of the trees get cut into small pieces. No worries, though, they just glue it back together when putting on the blue construction paper. 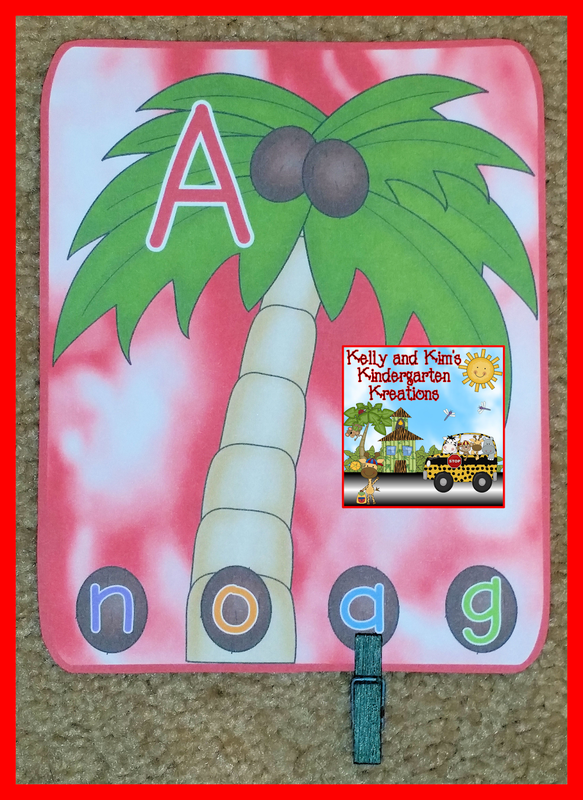 After they have glued their tree, children will need to find the letters in their name from a pile of random letters. We have included boxes in this product in which you can edit to add your student's names. 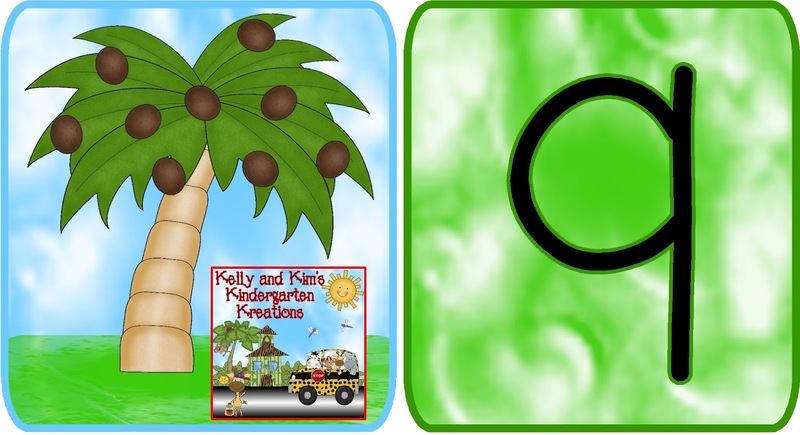 In this activity, children will count the coconuts on the tree and find the numeral to match. We have included numbers 0-10. This activity can be done individually, with a partner, or with the whole class as a partner match game. We like to use this assessment to check the children's ability to match a numeral to a set. We have them color the tree and then we give them a certain number of coconuts. We use a one inch circle punch and brown construction paper to make "coconuts." 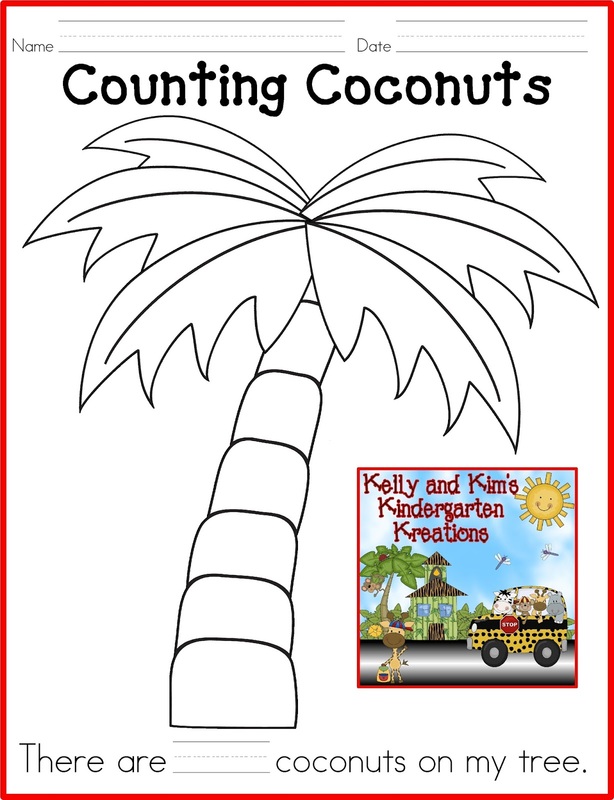 The children then glue the coconuts on the tree, count how many, and then write the numeral to match to complete the sentence.